The first Oktoberfest took place in Munich, Germany more than 200 years ago, on October 17, 1810. It served the joint purpose of celebrating the recent marriage of Crown Prince Ludwig and Princess Therese, and drinking up the last of the spring beer before the new brewing season. Today, Oktoberfest is the largest folk festival in the world, attended by more than 7 million people, with a staggering 7 million + liters of beer imbibed during the festival’s 2 ½ week run! 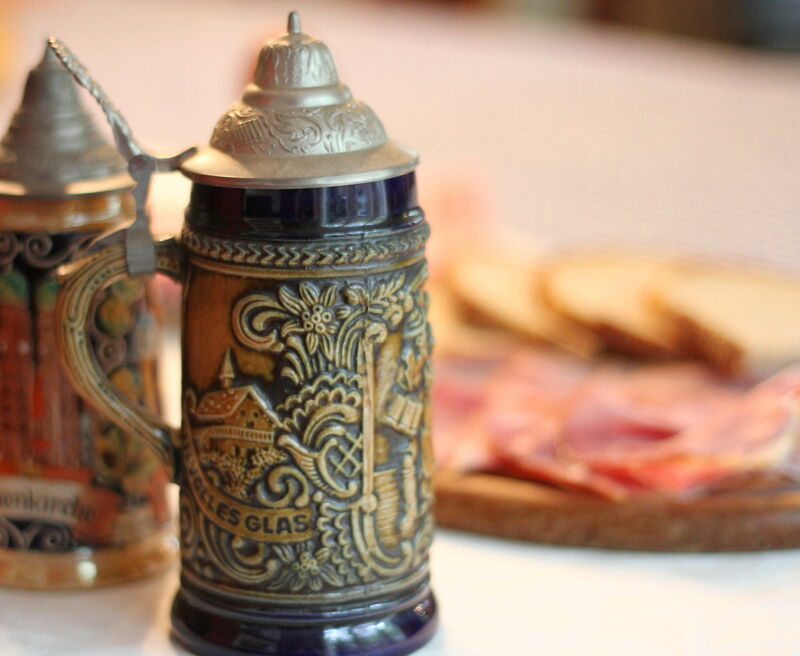 My own little personal Oktoberfest involves neither weddings nor beer, but my favorite German breakfast, and the consumption of lots of good, strong coffee. 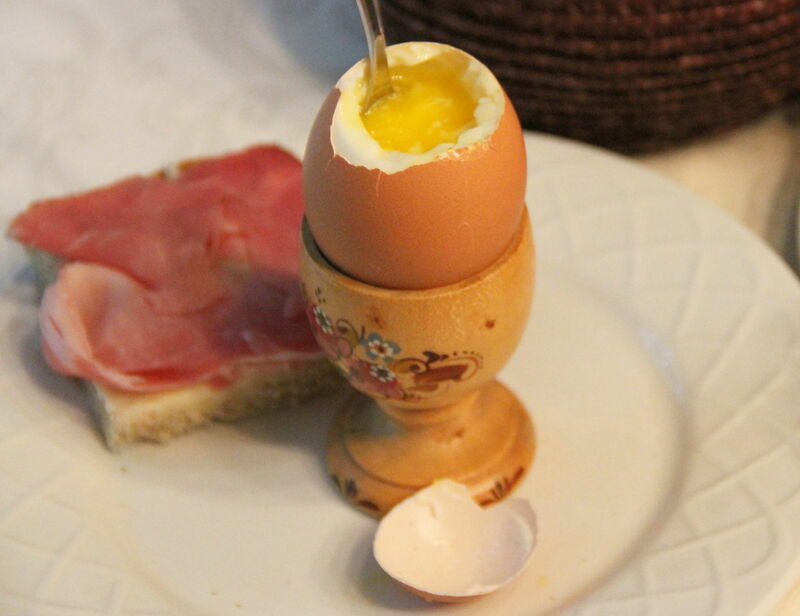 Simple soft boiled eggs, warm, golden dippable yolks, and a hunk of dense, earthy rye bread slathered with butter. Best of all, a few scant slices of rich and salty Bauernschinken – a lightly smoked “Farmers’ Ham” that I can never get enough of. 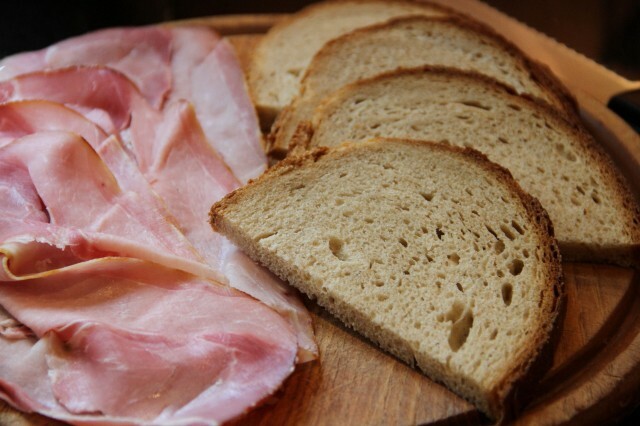 If you can’t find Bauernschinken, smoked ham or prosciutto make fair substitutes. 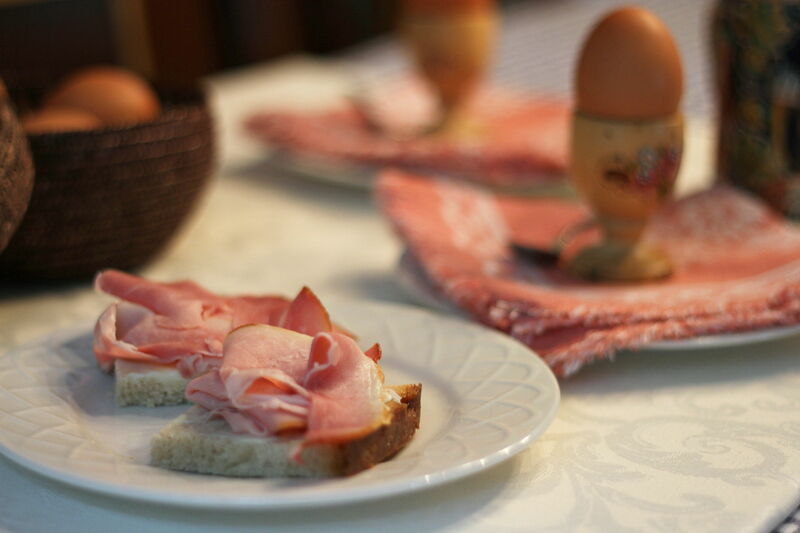 Although, honestly, in that scenario I skip the ham altogether, and simply make buttered toast points for egg-dipping – a long-time tradition in my father’s family. Be sure to liberally salt your Weiches Ei, for a festive, German breakfast in bed. Prost! To make Bauernschinken Brot, use plain rye bread, or toast it, if you like. Spread butter on rye bread or toast slices. Top each slice of buttered rye bread with 2 thin slices of Bauernschinken. Serve open-faced with soft-boiled eggs. To boil eggs, fill a small, heavy saucepan with enough water to cover eggs. Bring water to a boil over high heat. Place 1 egg on a large spoon, gently lower into the boiling water, and carefully remove the spoon when the egg touches the bottom of the pan. Repeat with second egg. Cook for exactly 5 minutes. Remove from water and place on dish towel or paper towel. Dry, and serve immediately with plenty of salt. Serve with Bauernshinken Brot or buttered toast spears on the side. Delicious with strong, hot coffee.